Microsoft SQL Server is a database management and analysis system for e-commerce, line-of-business, and data warehousing solutions. There are at least a dozen different editions of Microsoft SQL Server aimed at different audiences and for workloads ranging from small single-machine applications to large Internet-facing applications with many concurrent users. Till date, the unofficial build chart lists all of the known Service Packs (SP), Cumulative Updates (CU), patches, hotfixes and other builds of MS SQL Server 2014, 2012, 2008 R2, 2008, 2005, 2000, 7.0, 6.5 and 6.0 that have been released. Released To Manufacturing; It is the original, released build version of the product, i.e. what you get on the DVD or when you download the ISO file from MSDN. Service Pack; much larger collection of hotfixes that have been fully regression tested. In some cases delivers product enhancements. All SQL Server service packs are cumulative, meaning that each new service pack contains all the fixes that are included with previous service packs and any new fixes. 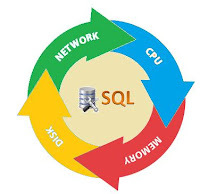 SQL Server 2008 R2 Datacenter is the full-featured edition of SQL Server and is designed for datacenters that need the high levels of application support and scalability. It supports 256 logical processors and virtually unlimited memory. Comes with StreamInsight Premium edition. The Datacenter edition has been retired in SQL Server 2012, all its features are available in SQL Server 2012 Enterprise Edition. SQL Server Enterprise Edition includes both the core database engine and add-on services, with a range of tools for creating and managing a SQL Server cluster. It can manage databases as large as 524 petabytes and address 2 terabytes of memory and supports 8 physical processors. SQL Server 2012 Enterprise Edition supports 160 physical processors. SQL Server Standard edition includes the core database engine, along with the stand-alone services. It differs from Enterprise edition in that it supports fewer active instances (number of nodes in a cluster) and does not include some high-availability functions such as hot-add memory (allowing memory to be added while the server is still running), and parallel indexes. SQL Server Web Edition is a low-TCO option for Web hosting. Introduced in SQL Server 2012 and focusing on Self Service and Corporate Business Intelligence. It includes the Standard Edition capabilities and Business Intelligence tools: PowerPivot, Power View, the BI Semantic Model, Master Data Services, Data Quality Services and xVelocity in-memory analytics. SQL Server Workgroup Edition includes the core database functionality but does not include the additional services. Note that this edition has been retired in SQL Server 2012. SQL Server Express Edition is a scaled down, free edition of SQL Server, which includes the core database engine. While there are no limitations on the number of databases or users supported, it is limited to using one processor, 1 GB memory and 10 GB database files (4 GB database files prior to SQL Server Express 2008 R2). It is intended as a replacement for MSDE. Two additional editions provide a superset of features not in the original Express Edition. The first is SQL Server Express with Tools, which includes SQL Server Management Studio Basic. SQL Server Express with Advanced Services adds full-text search capability and reporting services. Azure SQL Database is the cloud-based version of Microsoft SQL Server, presented as a platform as a service offering on Microsoft Azure. The compact edition is an embedded database engine. Unlike the other editions of SQL Server, the SQL CE engine is based on SQL Mobile (initially designed for use with hand-held devices) and does not share the same binaries. Due to its small size (1 MB DLL footprint), it has a markedly reduced feature set compared to the other editions. For example, it supports a subset of the standard data types, does not support stored procedures or Views or multiple-statement batches (among other limitations). It is limited to 4 GB maximum database size and cannot be run as a Windows service, Compact Edition must be hosted by the application using it. The 3.5 version includes support for ADO.NET Synchronization Services. SQL CE does not support ODBC connectivity, unlike SQL Server proper. SQL Server Developer Edition includes the same features as SQL Server 2012 Enterprise Edition, but is limited by the license to be only used as a development and test system, and not as production server. This edition is available to download by students free of charge as a part of Microsoft's DreamSpark program. SQL Server 2005 Embedded Edition is a specially configured named instance of the SQL Server Express database engine which can be accessed only by certain Windows Services. SQL Server Evaluation Edition, also known as the Trial Edition, has all the features of the Enterprise Edition, but is limited to 180 days, after which the tools will continue to run, but the server services will stop. SQL Server Fast Track is specifically for enterprise-scale data warehousing storage and business intelligence processing, and runs on reference-architecture hardware that is optimized for Fast Track. Pre-installed and configured as part of an appliance in partnership with Dell & HP base on the Fast Track architecture. This edition does not include SQL Server Integration Services, Analysis Services, or Reporting Services.